Recently I was asked by FoodBuzz to become a Brand Ambassador for Frigidaire. My first task was to highlight one of my favorite recipes for spring. These bars are what I came up with. Gooey enough for you? 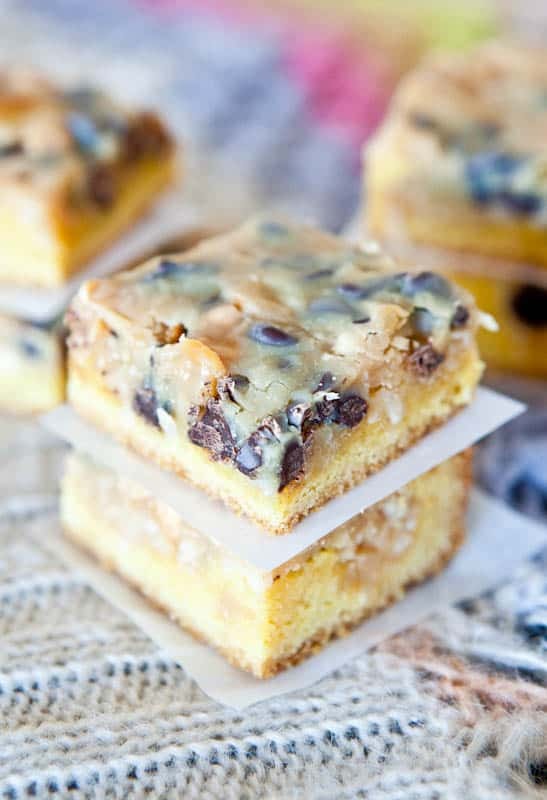 That’s a yellow cake base, topped with coconut flakes, butterscotch and chocolate chips, and the whole thing is drizzled with a peanut butter and sweetened condensed milk mixture. When they baked, the peanut butter and sweetened condensed milk formed a “shell” over the top layer, but it’s a very delicate shell. It’s silky and smooth, not sticky. The sticky is inside these babies. Yes, the dream I dared to dream did come true. Somewhere over the rainbow, call The Wizard, and tell him these are keepers. Preheat oven to 350F and prepare a 9-by-13 inch pan by lining it with aluminum foil and then spraying it with cooking spray. In a large mixing bowl, combine the cake mix, butter, egg, vanilla and mix. The batter will be extremely thick and will be difficult to combine, but keep stirring or use your fingers and knead it together, adding the water if necessary. Press the dough it into the prepared pan. 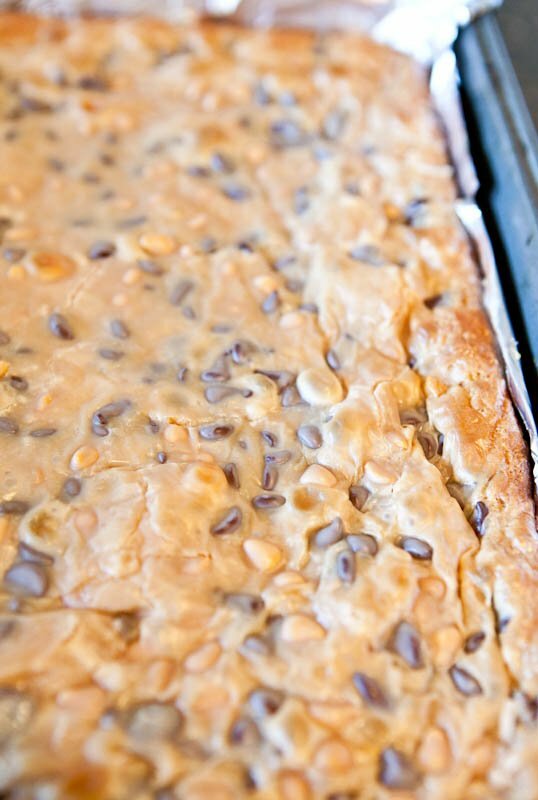 Sprinkle the coconut evenly over the dough, then sprinkle the chocolate and butterscotch chips evenly. 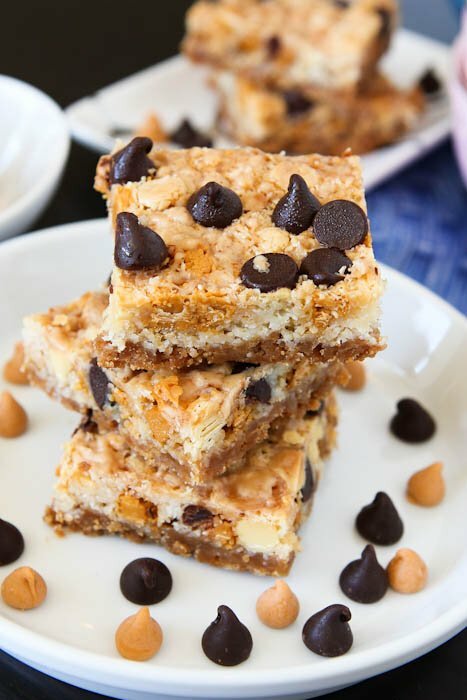 In a mixing bowl (the same one from the cake mix is fine), combine the sweetened condensed milk and peanut butter, stir until well combined, and pour mixture evenly over dough, using a spatula to even it if necessary. Bake for 26 to 29 minutes, or until edges of bars begin to brown and pull away slightly from the sides of the pan, or until the middle of bars has barely set, taking care not to overbake. The bars will set up considerably upon cooling. 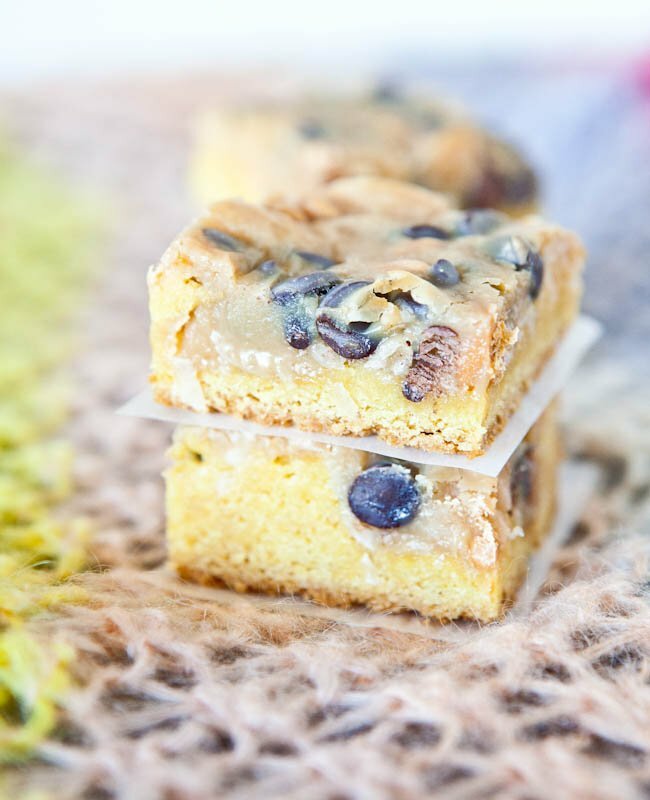 Allow bars to cool well before slicing and serving. Store in an airtight container on the countertop for up to five days or freeze for up to three months. 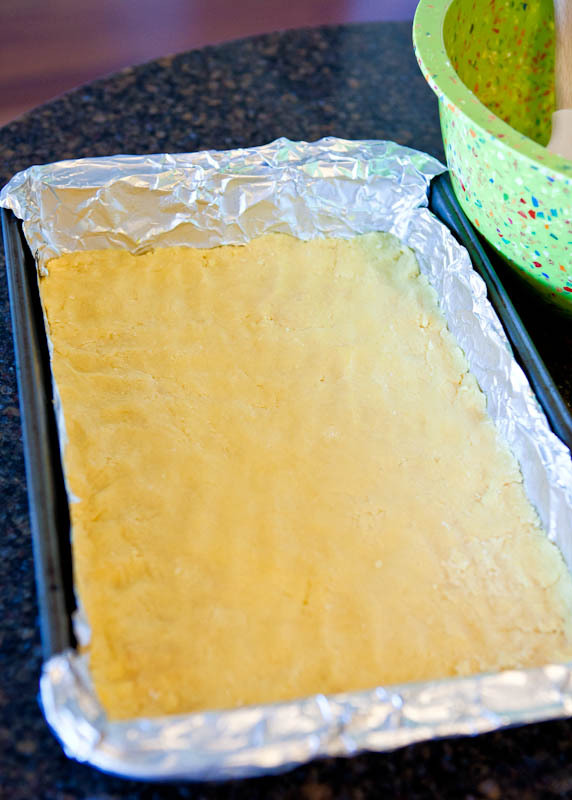 Take a box of yellow cake mix (you could probably use white, spice, or a golden cake mix), add butter, an egg, vanilla, and stir or knead until you create a very thick dough, and press it into the pan. 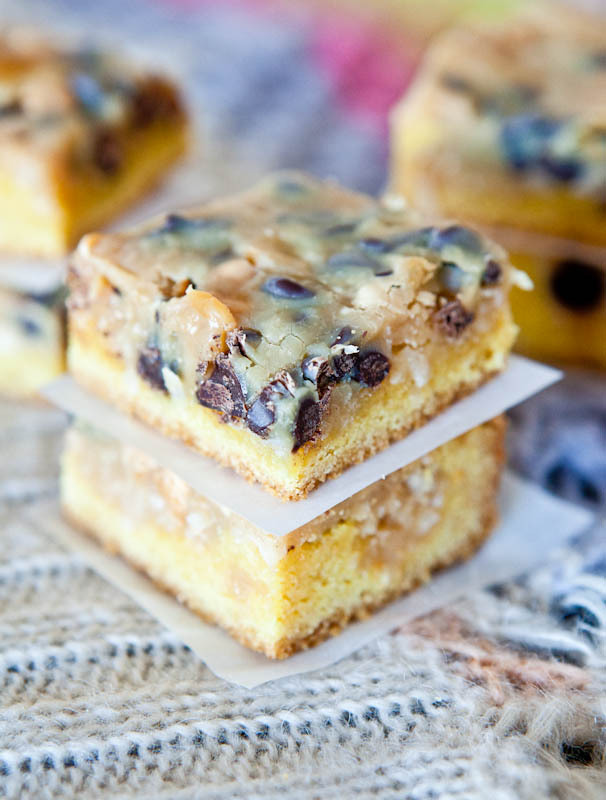 Top the dough with coconut, butterscotch, and chocolate chips. 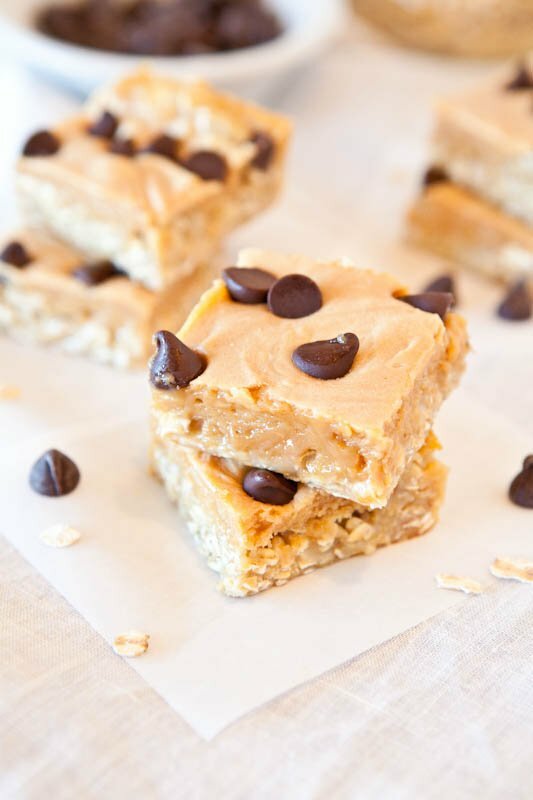 Make a mixture of peanut butter and sweetened condensed milk and flood it. This is the only time when floods are welcome. Bake it up and wait patiently. The smell wafting while these are baking is heaven-sent and being patient will be your virtue. Two kinds of chips; butterscotch and chocolate. 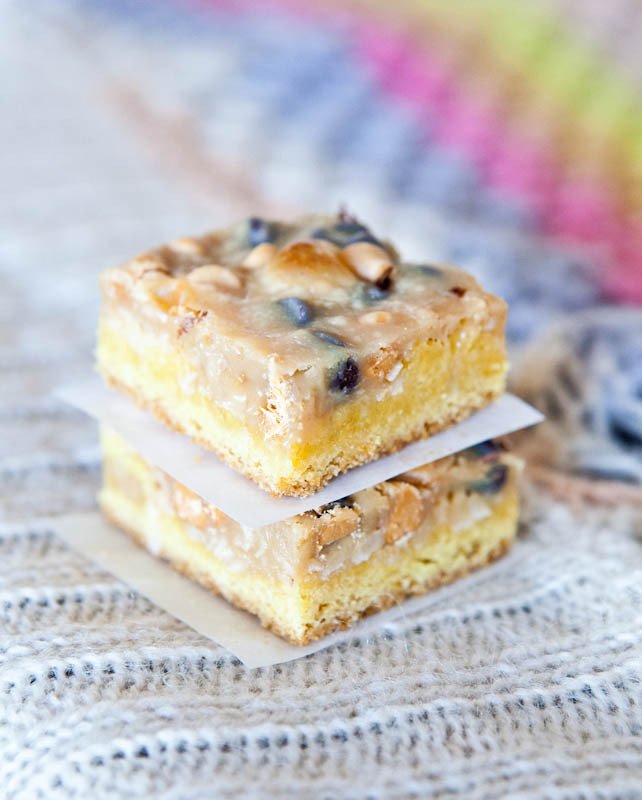 Peanut butter and sweetened condensed milk. 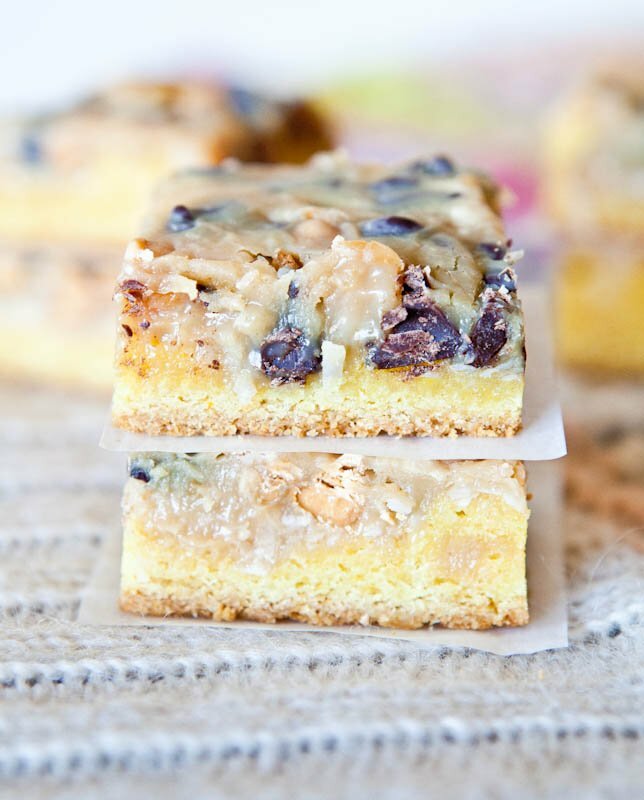 The sweetened condensed milk definitely dominates the flavor of these bars. So rich, creamy, and dreamy. 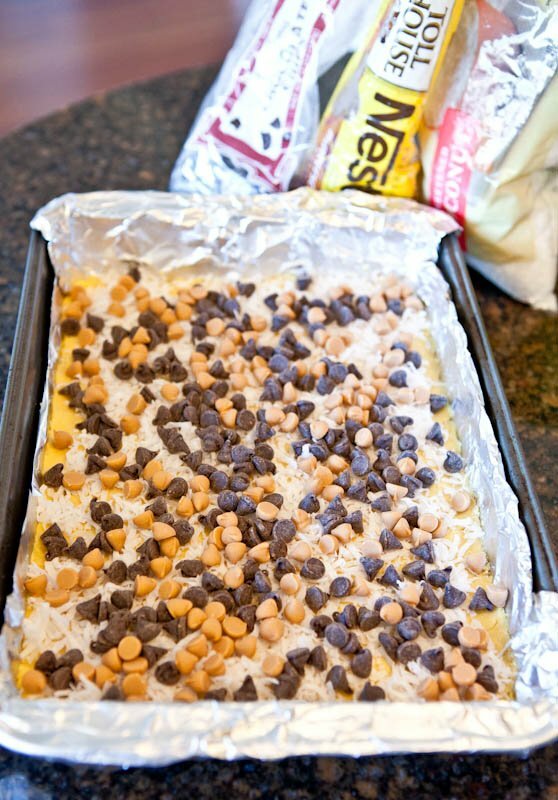 A sheet cake and a pan of bars, in one. Bars, not cookies; much faster and less fussy to make. Coconut and vanilla extract. If you’re not a huge coconut fan, that’s okay because these are not strongly coconut-flavored. It adds texture more so than imparting an overly strong coconut flavor. 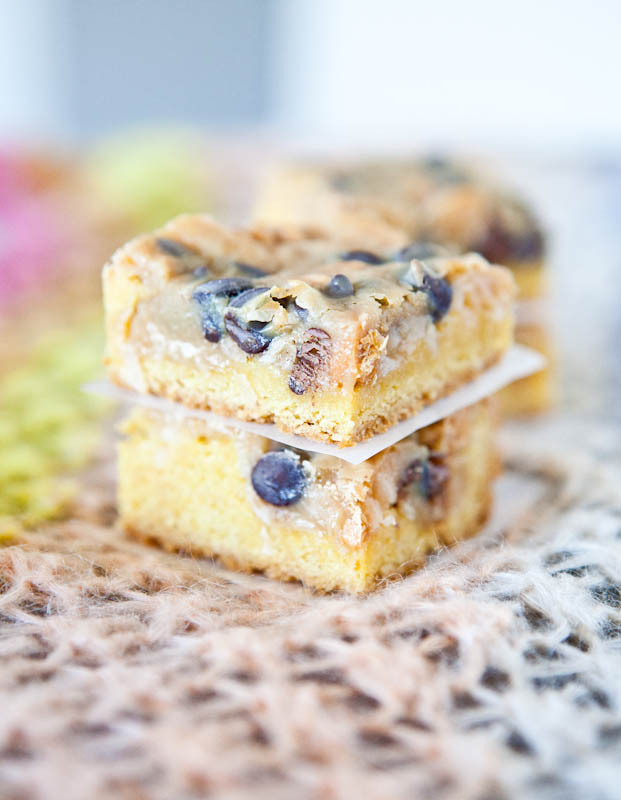 They’re a light, fat-free, low-cal, favorite springtime recipe. Sure. And they sure are good. 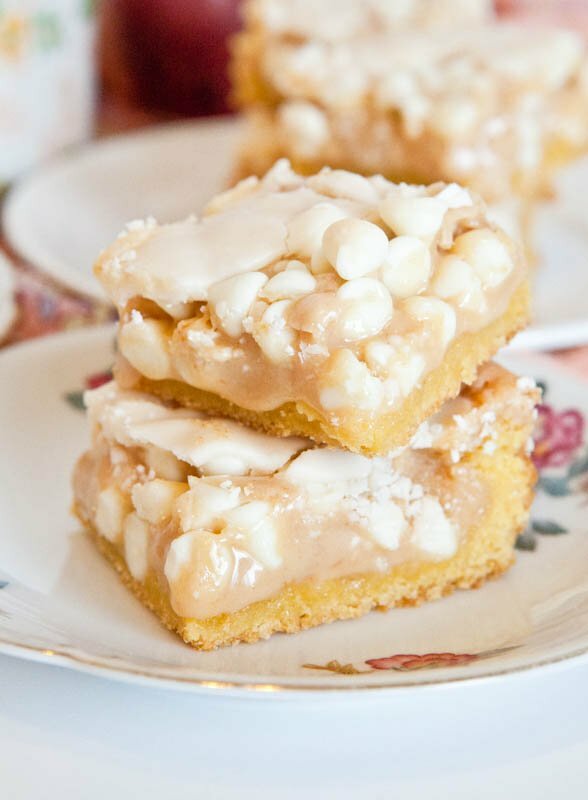 and White Chocolate Vanilla Marshmallow Cake Bars…. …This is their second child. 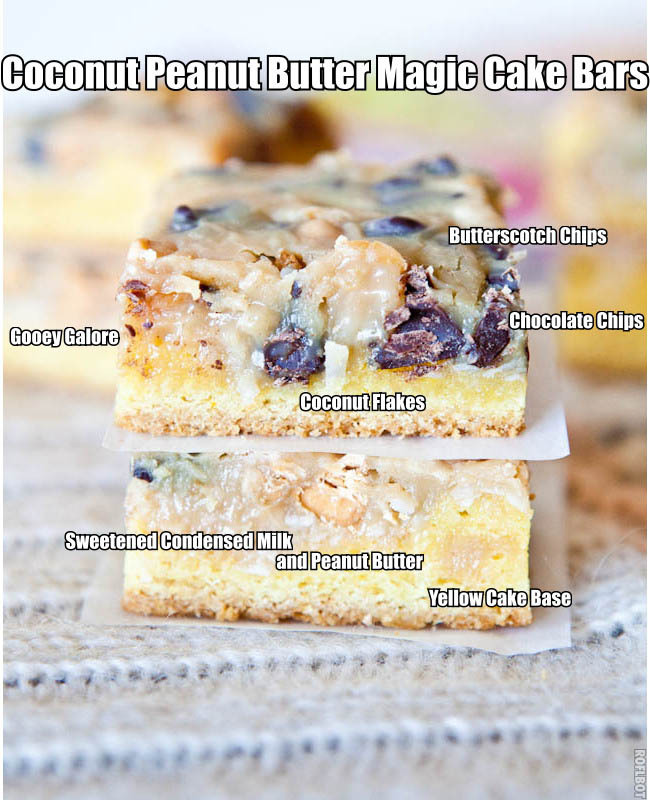 Have you ever tried Magic Bars or Seven Layer Bars as they’re also known? I love them and they remind me of childhood because they were one of my mom’s signature desserts. She’d make them and bring them to potlucks, bake sales, and neighborhood get-togethers. They’re easy and everyone seems to love them. What are you looking forward to making this spring? This post was sponsored by Frigidaire. When you check out Suzanne Goin’s springtime recipes at www.maketimeforchange.com, Frigidaire will donate $1 to Save the Children’s U.S. programs. Plus, you’ll be entered for a chance to win the new Frigidaire Range with Symmetry™ Double Ovens– featuring two large ovens (that can each fit up to a 28 pound turkey! ), providing the flexibility to cook multiple dishes at the same time at different temperatures, so you can get more on the table at the same time. 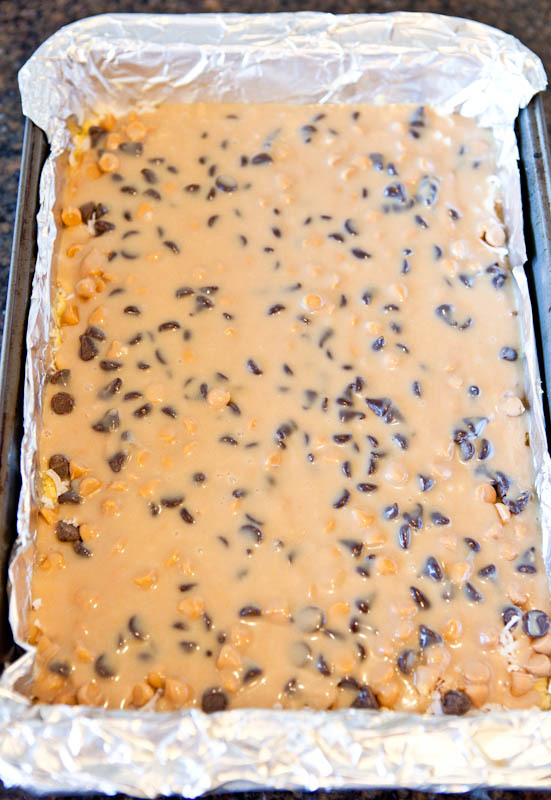 These are in the oven right now… I made a half batch because I don’t trust my own self control, hahaha. I’m staying with my mom for a week and the bad news is that the can of sweetened condensed milk she had was a use by 2009 and I didn’t see that until after I’d started the recipe… so I had to improvise a bit. How did you make a half batch with the egg/cake mix situation? Did you literally crack an egg, beat it, and use half and then use half the box of cake mix & bake in a 8×8 pan? Totally do-able just curious! Glad you found ways to improvise. LMK how things pan out! Glad you liked them and thanks for stopping back to tell me! just made these… WOW! Delicious! Thanks for the lovely recipe. Wish they were low-fat, but I love them. I made these the other day but substituted chocolate cake for the yellow cake mix because I was craving chocolate and peanut butter. I think these are by far the best bars from your collection, Averie. They even taste better the next day! 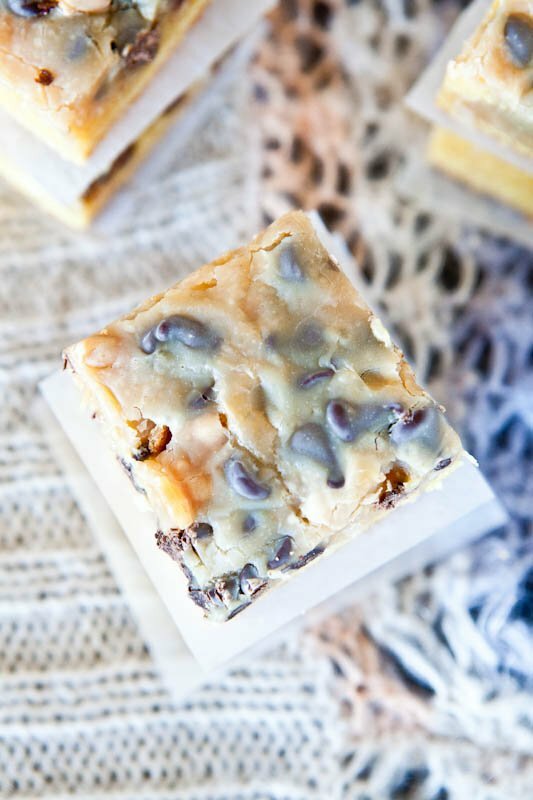 This will definitely be one of our go to recipes when we are craving something sweet- they are so easy to make and delicious too! Thanks for another tasty treat! Thanks for trying them and I bet with choc cake and the PB/sweetened cond milk sauce, they were wonderful. I loved this recipe so much that I put it in my cookbook! Glad you agree that it’s one of my best. Thanks for the compliment! I am assuming when this recipe was written it included the 18 oz box of cake mix. How can I adjust the recipe using the new smaller boxes of cake mix? Make the same way. The ounce or two will not matter in this recipe.